The Call of Duty universe seems like a terrible place to live. Not only is every moment in modern human history punctuated by war, but every single terrorist cell seems to have access to a nuclear arsenal capable of leveling any city on earth. Then, perhaps due to the massive amount of nuclear fallout, there were zombies. And now that we've banded together to kill all of the terrible zombies, aliens with a taste for human flesh have invaded. Those folks just can't catch a break. 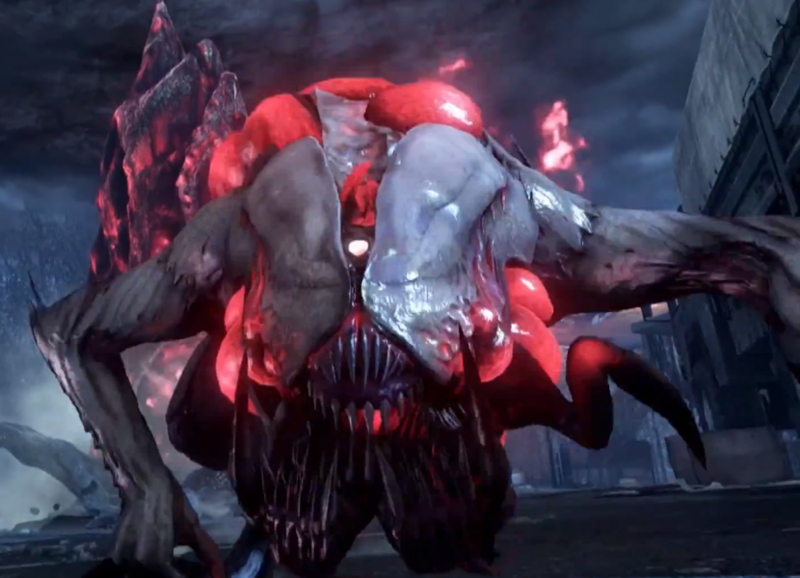 Activision has announced the four classes for the co-op multiplayer Extinction Mode in Call of Duty: Ghosts to help give you an edge in the conflict against the evil alien invasion. The four classes have 30 levels of growth which sees a steady increase in their abilities. Keep in mind, this stuff is still in development and not representative of the final product. The Tank class enjoys additional survivability with 25% additional health. I feel like the tank might want to forgo traditional camouflage for something a bit louder. Perhaps they can obtain something from Prince's wardrobe. Besides, maybe the aliens have an aversion to that particular brand of purple. The Engineer specializes in drill maintenance and trap utilization. The drill is used to against enemy hives in order to progress through the level, and the Engineer provides additional armor for it. Combined with the ability to lay down traps, the Engineer might be the only thing between your drill and a horde of hungry aliens. The Weapon Specialist gets a 20% bonus to bullet damage. A general increase in "bullet damage" has always seemed weird to me. Are you making the bullets go faster? Are they made of plutonium? Somebody needs to explain bullet mechanics to me. The Specialist's levels see an increase in weapon handling. Rounding out the team is the Medic, which can revive allies faster than anyone else. 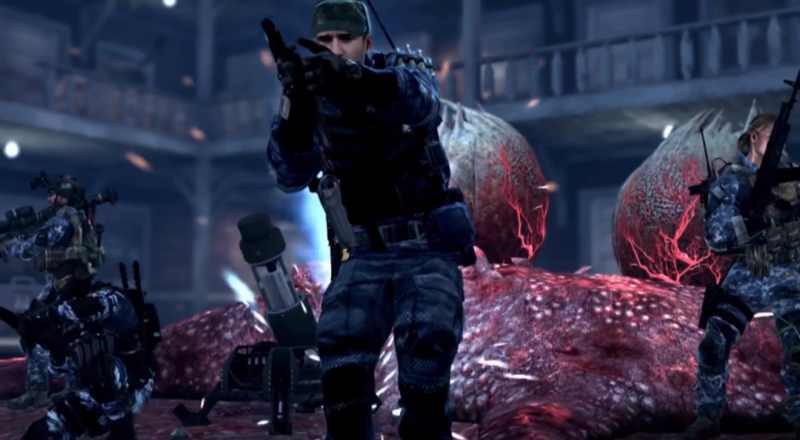 Any horde mode is going to see some teammates laid out, and the Medic is there to ensure a bunch of unconscious soldiers don't suddenly become a grizzly buffet for the alien menace. Your team will need to think about class composition before diving into raw danger. Chances are, if everybody wants to goose their kill count and goes Weapon Specialists, you'll probably end up regretting your choice of profession as you are disemboweled by teeth and talons. This trailer shows you exactly what kind of horrors you and your team will be dealing with as you defend earth. In case Extinction Mode doesn't do anything for you, here is a live action trailer celebrating all things Call of Duty by director James Mangold. I hardly think that taking live fire by a force vastly outnumbering my own would be cause for excessive joy, but who wouldn't crack a grin to the crooning of Frank Sinatra. Does anybody else feel that Megan Fox's brief appearance is just a little bit pandering? Then again, pre-ordering this game does entitle one to a discount on the new Eminem album releasing the same day, so I guess they really know their audience. Page created in 0.2291 seconds.